Kindyhub builds confidence when ‘the Assessor’ comes calling. Voice of Experience: Having prior experience of assessment and rating, it’s fair to say that I was nervous and yet confident about this one. You never know if you’ve checked all the boxes, but even if you have, it’s not simply a “yes” or “no’ in a box, it depends a great deal on the assessor’s interpretation. That’s why you must be able to support everything you’ve said with documentary evidence, and that can be difficult to pull together in a day and a half. That’s when the nerves kick in! done a good job, knowing that you’ve recorded everything along the way and knowing that’s it’s all there in Kindyhub, ready for inspection. You’re backing yourself and Kindyhub has your back. A lot of research, planning and preparation goes into getting ready. That requires a good understanding of the national quality areas, the elements involved in each area and an awareness of what we need to know, where we can improve and how we can self-assess objectively. The whole idea of external assessment is to create an environment and culture of continuous improvement, constantly looking at yourself – this applies to everyone in the organisation – to deliver better quality for the children using the services. The initial centre level research trickles down to the nominated supervisor, then the educational leader and onto the educators who invested a lot of time determining what they needed to do at a centre level. Working closely with families and communities, making sure we had a holistic approach to all that we do, from the education programme, to ensuring we’re giving the families what they require and what they’re paying for. All while keeping our standards high, and staff motivated and passionate about their chosen career. Planning and Preparation with Kindyhub. All of our planning and programming, in fact everything we do with regard to the educational programme, is incorporated within Kindyhub. Realistically, for Clovel, Kindyhub is the be all and end all. It is the essential link to our families, handling all of our family input, developing our family relationships and providing access to all the observations and learning stories for each individual child and groups of children. Our programme links to the EYLF (Early Years Learning Framework) and to ‘My Time Our Place’ at the same time. For our before- and after-school care children, we do our ‘Daily Reflections’, so a lot of not only quality area 1, but quality areas 5 and 6 were linked back to our use of Kindyhub. Being able to tailor Kindyhub to our own philosophy and ethics has made a big difference because it’s an evolving tool that allows us to be more passionate about what we do. Two-way communication allows quick correspondence with parents about anything and everything. Built-in planning tools, including events, calendar and messaging. Automatically tracks who has/hasn’t opened messages. Input of information related to the Australian Curriculum – e.g. literacy, maths, science etc. Being able to tailor Kindyhub to our own philosophy and ethics have made a big difference because it’s an evolving tool that allows us to be more passionate about what we do. We’re not simply following rigidly to a programme devised by someone else or using the skills that they’ve used to develop it; we have a level of ownership of the programme, an ability to develop it further ourselves, to make it help us in the way we want it to. Having those abilities encourages us to do even more, to have a complete understanding of the tool and its capabilities, and using it to find better ways of achieving our aims. That ‘ownership’ of the tool and its potential applies to everyone within the centre. The educators were all involved in the initial planning and the ongoing development of our programme – they totally understand it. They don’t have to be taught how to do something because they were part of the development. Kindyhub allows Clovel, as a centre – an organisation, to demonstrate our unique programme and show who we really are as distinct from every other childcare facility out there. Core aspects from quality area 1 were able to satisfactorily demonstrate for the Assessor within Kindyhub included: individual observations and developmental milestones for individual children, and each child’s group interactions. Essentially, everything to do with each individual child has been captured, recorded and can be recalled and demonstrated. Every child has a holistic approach to their involvement within the centre, from their family input, what the child’s interests are, their individual learning stories, group learning stores and developmental milestones – everything gets recorded and can be reviewed at any time. Kindyhub helps us ascertain what families are doing on a daily basis, through the communication feature enabling families to liaise with us continually and giving us greater access to family relationships. A big part of Kindyhub is the ‘Reflections’ feature which we make extensive use of. We do ‘internal reflections’ on individual observations and learning stories we’ve written. Reflections of the day, where we record about the whole day, about groups of children, about things that have been successful, and those that haven’t worked as well as we’d hoped, and on things that need to change. Critical reflection is a big assessment area which may be lacking in a number of childcare services, simply because people can think or say “I’ve reflected”, but nothing’s recorded anywhere. Not a problem with Kindyhub – the facility to record all the reflections is there. This feature has made our programme more robust, providing the evidence we need to justify our being classified an ‘Exceeding’ centre, rather than simply a ‘Meeting’ centre. Kindyhub ensures everything is embedded and that the children are leading the program. Our assessor’s actual words were, “I love this programme”, followed by “I probably shouldn’t be saying that as it could be seen as biased”. I can understand they’re not supposed to be quite so candid, but her whole demeanour about our centre was, well, excited. She loved how everything simply flowed and how it could all be tracked. If she clicked on any observation or activity in the organiser, she’d instantly see where it had come from; that satisfies another huge part of assessment and rating – being able to demonstrate that the children are embedded in the programme, that they’re driving the activities which are all part of their development and of the observations. The assessor could see clearly exactly where every activity in the programme had originated. There is an area in the EYLF called “Intentional teaching” and that’s an educator-driven part of the programme. However, it’s a myth that everything needs to come from this area. For a program to be embedded by the children, to me it needs to be 90% driven by the children. The more activities that are child-based – that are coming from the children’s development, coming from observation of the children’s interests and likes, and what they’re wanting to be involved in – the more the children are going to want to be a part of it. And the more they are embedded into that program. The intentional teaching part, we have a philosophy where we have about 10% of our programme based around intentional teaching. This is where educators want to do something specific, which might be based around the preschool programme, e.g. they may want to do something based around numeracy – maybe a counting activity. Children may not necessarily have an interest in driving that type of activity, so our educators will use intentional teaching for that. But it’s only a very small portion of the program. Kindyhub has created the reports. Kindyhub has got the reflections in there. Kindyhub has got the outcomes. It’s got everything you need to be able to show evidence. Kindyhub is definitely not a ‘tick & flick’ package, which is one of the things that I really love about it from an educational leader’s point of view. The staff need to own the programme with the EYLF. It’s all about what you are interpreting, how you’re seeing things and what’s happening within the children. Some activities can refer to numerous outcomes, but it really depends on how you’ve interpreted the lead-up to an activity as to what outcome it’s actually driven by. You can’t simply tick the box; Kindyhub is so much more than a ‘tick the box’ process. There’s little features that make things a bit easier, however, it’s very much owned and driven by the educators. Some of the key questions the assessor asked were in relation to programming. Could we show evidence of where that activity had come from? What had initiated the different artwork and creativity displays around the centre? Could we demonstrate how the children had been engaged in creating the artwork – did we have evidence of the children participating in those activities. We were asked a lot about reflections and how we use them to lead the programme, and how we make changes to the set-ups to enhance the learning experience for the children. We were able to provide evidence of all that, using Kindyhub. She asked how each individual child was embedded into the service? How families had input in the service? How families would have access to the children’s development and what we were recording on the development? How would parents receive notifications based on anything that was uploaded on their child? All of which was covered in the app. She enquired quite a bit about the actual programme, and what would happen with it if a particular child was absent for the day. Would we revisit that activity, and how we would do that? We were able to show her all of those types of things. In addition, she wanted to know if we could see an overview and we demonstrated an overview of actual outcomes – by each educator and each child! Outcomes actually used for that child in a week, or in a fortnight, demonstrating that they were having a holistic approach to their development and that all outcomes were actually being measured throughout. We were also able to show her the different reports, demonstrating that we can quickly assess where each child is with their learning, and where each staff member is with their targets. Quickly and easily we demonstrated how many observations have been done, how many day books are being sent to families and how many families have opened their day books. 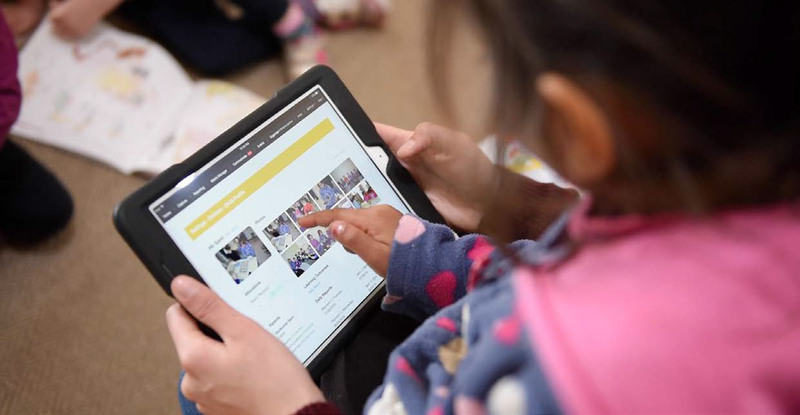 Want to find out how Kindyhub can help your Early Learning Centre achieve excellence? As the outcomes are already in the programme, it actually allows us, as educators, to be able to work out we’re going with a particular activity, and link it to that actual outcome. We can then create a report showing exactly – for each individual child, or a group of children – what outcomes we’ve actually looked at over a day, week or month etc. For example – if a particular child was not having activities based around outcome area 4 – we’d see that and organise some intentional teaching, based around outcome 4, to involve that child. We can reflect on that as educators, to ensure that the children are having a balanced, holistic approach, covering all areas of development within the EYLF. We achieved ‘exceeding’ in all 7 areas and were pretty ecstatic, to be honest. It was something we’d worked hard towards and I can say that both myself, and the nominated supervisor of the service, had put a lot of time, effort and energy into researching and continually making positive changes. Which is what it’s about. It’s called quality improvement. The day of the assessment, I can say we backed ourselves. We knew our programme was great and we stood by it. But that’s because we backed ourselves, and we believed that what we’re doing and what we’re creating for these children is amazing. So, when we got our results, we were pretty excited – to say the least. I actually created a cake which had all the quality areas – from quality area 1 and exceeding, right down to quality area 7. When I bought the cake out and showed the staff, they were all really excited about that too. We actually posted our results onto a public forum, because we were so excited about our achievement. On Facebook there’s an EYLF NQF page and within 24 hours had 1500 likes. I probably had – I think – in excess of 200 comments and private messages asking me for advice and assistance. 99% of the issues and concerns raised are based around programme. Quality area 1 is the main area where people are not achieving ‘exceeding’. My main advice would be: find a high-quality online programme that allows you to do every part of the process – and that’s Kindyhub! Kindyhub has created the reports. Kindyhub has got the reflections in there. Kindyhub has got the outcomes. It’s got everything you need to be able to show evidence. But also for you to be able to back yourself, knowing that you’re doing the right things and providing a high-quality programme for the children in your centre. I think the confusion with programme and practice is because quality area 1 is the most lacking in achieving ‘exceeding’, and that’s down to not understanding. There wasn’t a lot of training when the EYLF was released within services and people in the industry were used to doing things a certain way. Because there wasn’t much training and because the EYLF is very interpretation based, many people just wanted someone to tell them how to do it – am I ticking the box, am I doing this right? They’re looking for programs and providers to be able to give them something that is just going to answer all of those questions. Of course, there’s nothing out there that’s going to answer every question. It’s about you as an educator understanding the EYLF for yourself and doing what you need to do to ensure that you’re meeting all the areas. Having a ‘tick the box’ process is not going to work – but having something like Kindyhub, where it allows you to grow and improve, and to develop your program, continually enhancing it, based around your environment and personalising it to you. That’s how Kindyhub assists anyone to back themselves and understand how to use the EYLF in driving their programme. All data must be stored on Australian soil. 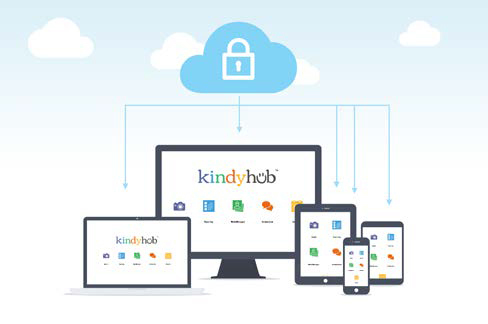 Kindyhub is based here in Australia and complies completely with all relevant legislation.